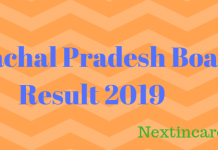 Jharkhand Board 12th Results 2019: The Jharkhand Board 12th Results 2019 will be released in the online mode on the official website of Jharkhand Board i.e. jac.jharkhand.gov.in/result/. . The Jharkhand Board is known as the Jharkhand Academic Council (JAC) and came into existence in the year of 2003 by Jharkhand Academic Council Act 02.7.2003. This council regulates and manages all the activities related to holding examinations of 10th, 12th and others in the state of Jharkhand. Those who are searching for class 12th Jharkhand Board results will be able to check from here. Jharkhand Intermediate examination results 2019 will consists of science, commerce, and arts results. JAC will announce the class 12th results at www.jac.nic.in, or the council’s new website jac.jharkhand.gov.in. The results for Science and arts streams will be released on the same day and the results for arts students will be released separately on a later date. 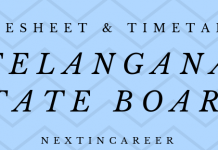 The Jharkhand Board 12th results 2019 will be released in the online mode only. Candidate can view their individual result by entering roll number and name. Students who have taken class 12th exam in the science, arts and commerce stream will be able to view their results from the links provided in this article. Class 12th or intermediate examination is one of the most important exams conducted for candidates. With the scores obtained in class 12th, a candidate can apply for university courses at the undergraduate level. Jharkhand Board 12th results will carry the marks scores in each subject. 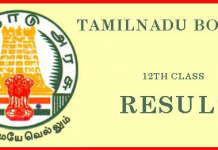 The results are published on the official exam portal only for which the link will be provided here. Using the roll number and name, the candidates can check the result online. With the results of class 12th, candidate will be able to choose the courses and apply for the same. Like previous years, the results will be released in the afternoon, anytime after 12:30 PM. Click on the link for JAC Class 12 or Intermediate Results 2018. After the candidates have checked their Jharkhand Board results 2019 in the online mode, students must take a print out of the result. In case they are unable to reach the official website, they must not panic. This happens because too many students and parents visit the same website at the same time, which tends to slow down the site. For this reason, we will provide the result link in this article. There are speculations that the results may be declared in the month of May also, however, until there is no official notification, nothing can be confirmed. We will update all the information here as soon as it is released.